Now I’m not big on ghost films but ‘Lord of Tears’ directed by Lawrie Brewster is a slow burn character driven piece with atmosphere so thick you could suffocate a child to Moloch. What an experience it is and I absolutely loved it. Brewster creates some great scenes of intense atmosphere and in one such scene, I even had goose bumps and chills running up and down my spine. Something of which I haven’t experienced since I watched Dario Argento’s ‘Suspiria’ and before that, I can’t remember the last time this happened. There isn’t any jump scares as it is all just pure atmosphere with some chilling imagery. Now that’s talent. The movie takes what you know and throws it in your face just over the half way mark and the ending comes out of nowhere grabbing your balls in a vice leaving you a little depressed and sick to the stomach. I watched it with my sister, she was so freaked out during some moments, and I had to keep telling her to shut up. 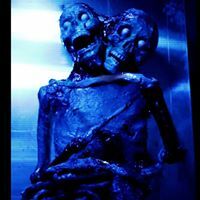 She has since changed her Facebook Banner Photo to the film’s mysterious and unsettling entity of the Owl Man. I also loved the use of ancient legends and mythologies. It grounds everything in a somewhat taboo and older soil as it’s inspired by actual immortal figures of our past. These characters Gods if you will were once an everyday part of human life and seeing such figures having air breathed back into them albeit stale, dark and twisted air just makes the proceedings that much more atmospheric. I shudder to think the amount of hours the filmmakers scrambled around doing research. Some of the performances aren’t exactly top notch (which was expected) but that said it made the movie that much more grounded and it has a quirky awkward mist in the air that is always present in these situations. Perhaps the passable acting is intentional as it is effective in making everything so much more connectible. The character of James (Euan Douglas) is rather likeable and you end up feeling for him as he has an odd innocence. We see him plagued by nightmares of the Owl Man and suspecting that his terrifying visions are related to a traumatic incident from his past he returns to his childhood home a mansion in the Scottish Highlands. Here he discovers the disturbing truth behind the nightmarish images in his mind the consequences of which lead to a brutal fight for survival. Eve (Alexandra Hulme) is stunningly beautiful and her looks are rather side tracking. David Schofield as the Owl Man delivers some utterly brilliant lines. He is chilling stuff and I love the way he speaks with poetic like dialogue. It reminds me of Doug Bradley’s performance as Pinhead in the first two Hellraiser films as he is neither good nor evil just extremely well presented and doing what he is meant to within his rules. If I have one complaint though it would be the forest scene as his voice makes it a tad hard to catch everything he says but it is just that one scene. Credit here must go to Sarah Daly as her writing is fantastic and I look forward to see what other dark and twisted stories she and the director has to offer. I feel very comfortable stating that ‘Lord of Tears’ IS the best modern horror movie I’ve seen in the last three years since Kim Jee-Woon’s ‘I Saw The Devil’. Between then and this I haven’t really liked anything much in the genre. This is a contender along with Tobe Hooper’s ‘Poltergeist’ for taking the crown for my most loved ghost-like horror film as well. I was terrified by the hype and excitement surrounding it and I was worried it was going to ruin it for me and I’m ever so glad it didn’t. I loved every frame of it and I will without doubt fully support any future projects this team works on. My hat goes off to them and I thank them so very much for such a beautiful piece of filmmaking. 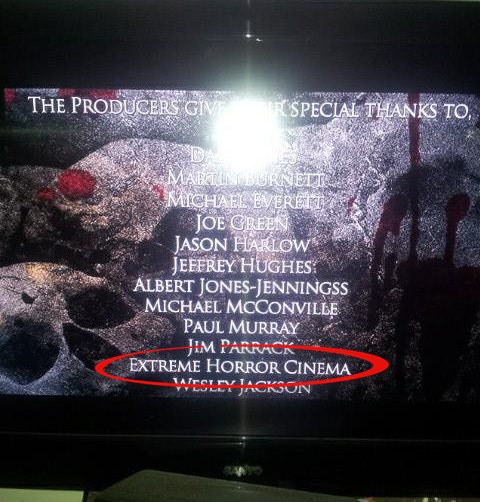 Oh, and I loved their shout out to Chris Lee and Extreme Horror Cinema in the credits. In a time where horror is flooded by remakes, reboots, sequels and lame “true story” found footage movies that are full of pathetic jump scares it is a breath of fresh air to see something this original and perfectly orchestrated to surface from the independent market.